Want to learn more about virtual reality, how it works and how you can use it in your instructional design work? This is the session for you. 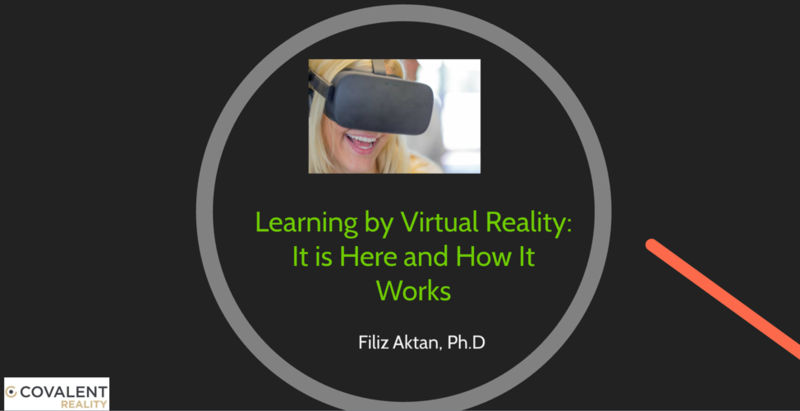 Read more about virtual reality in the following articles by our featured speaker, Filiz Aktan. Filiz Aktan, Ph.D. is an instructional designer and performance technologist at Midlands Technical College. She recently earned her Ph.d. from Florida State University in Instructional Systems and Learning Technologies. She also has two masters degrees in educational technology and instructional systems from Florida State University and Ohio State University. She has been flexing her design muscles for almost eight years creating effective, efficient and high-quality solutions to instructional and non-instructional problems. For additional information, contact Urica P. Floyd, SIG Chair at TechSIG@atdmidlands.org. We look forward to seeing you.